Crisalix, as a part of 5CC, invites you to see a live demonstration of our ground-breaking Crisalix 3D and 4D imaging solution, as well as the newest technology called Augmented Reality, which is the very first imaging solution in the world where patients can see themselves LIVE and in REAL TIME. Don't miss an opportunity to learn more about what’s new in the aesthetic field. 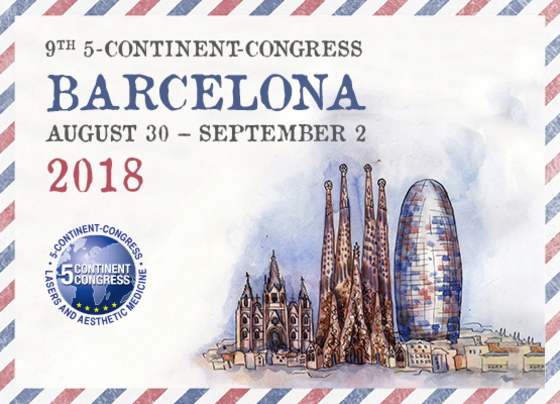 Join us in Barcelona from August 30 – September 2, 2018, at the stunning Centre de Convencions Internacional de Barcelona (CCIB). Barcelona International Convention Centre, Barcelona, Cataluna, Spain.